Things look bright for 4G network EE whose interim results show that revenue has been holding in a market where others have had a tough time. 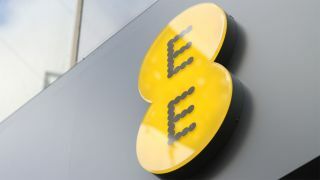 EE saw a record 1.3 million 4G customers added in the second quarter of the year, the most ever by a European operator over a three-month period. In the UK, the number of 4G customers has doubled to 4.2 million or nearly 50% on the previous quarter. What are the 10 best mobile phones in the world today? The rise in ARPU can be partly attributed to the shift from PAYG to contract customers, a lower churn rate (at 1.1%) and a growing Mobile Virtual Network Operator (MVNO) base thanks to Virgin Media, soon to be joined by BT. 4GEE now has more than 5500 corporate customers including Deloitte and Essex Police with a survey commissioned by TNS showing that 4G is having a "major positive impact on business productivity". M2M and fixed broadband uptake has also been positive with 30,000 new fibre customers and 75,000 new M2M installations.